telling us about the ocean? A status report. The first IGMETS status report is available at the link below (or by clicking on the cover graphic to the right). You can download the entire report (297 pages, ~37 MB PDF) or download any of the individual chapters or the Annex. 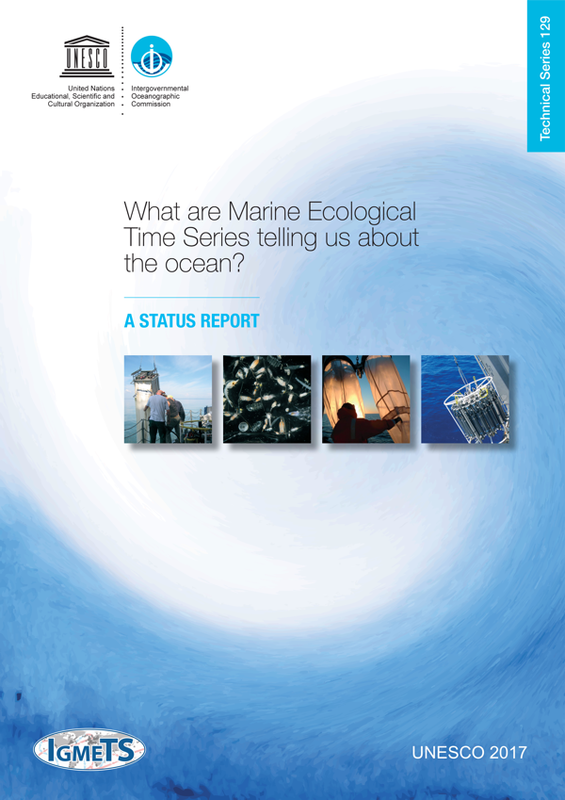 This first report presents an analysis and overview of oceanic trends through the end of 2012, based on a collection of over 340 in situ marine ecological time series, and supplemented with satellite-based spatio-temporal SST and chlorophyll background fields. Electronic supplements for this report include the IGMETS Metabase and the IGMETS time series Explorer.